Welcome to the official Models page of Zero 1 Pro Wrestling Fit International. Each week we will be uploading new lovely photos of our team of models from around the world. Visit our fanpage to Like and Share photos of your favorite girls and leave your comments for them to enjoy. http://www.facebook.com/pwfinternational Submit your photos to our facebook page to enter for a chance to appear here. Our beautiful Zero 1 PWF China Spokes Model Miss Xiao O Ma is a native of Beijing, China and a full time college student. She recently traveled to Orlando, Florida to meet with PWF International C.E.O. Rick Love to apply in person for the spokes model position. Miss Ma took a tour of the famous Olympic Bird’s Nest Stadium in Beijing where the Pro Wrestling Fit China shows will be held. She is a huge fan of action sports like Pro Wrestling, Martial Arts and MMA. Xiao has studied Taekwondo and Hapkido as well as MMA. She is a former MMA Ring Girl and has appeared many times at the PWF shows internationally. Be sure to meet her live and in person at a PWF Show near you. This month’s Hottie is Zero 1 PWF USA Spokes Model Miss Rachael. Here she is showing some love to one of our PWF up and coming stars, Bobby Fonta. Rachael is a full time college student and part time model who sometimes travels to Orlando, Florida to show support to Bobby Fonta. Miss Rachael is Bobby’s little sister and has always been his biggest fan. 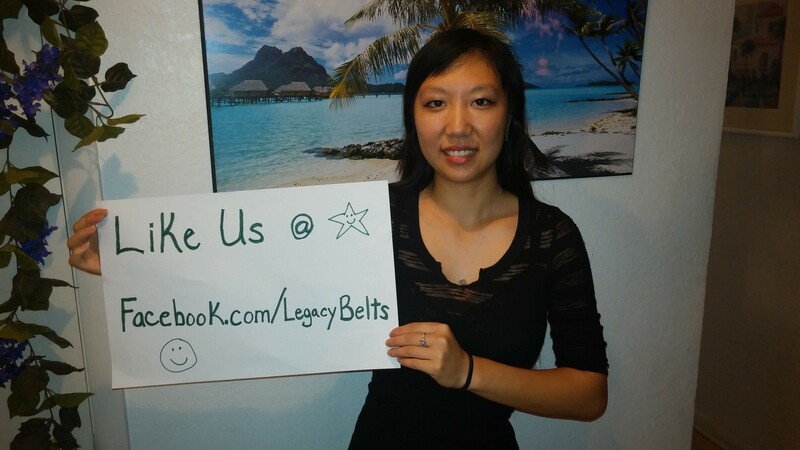 Be sure to like and share her photo from our facebook page and she always loves to read your comments. Meet Suzy Q live at an upcoming PWF Pro Wrestling Show in Orlando, Florida. Meet Suzy Q, Zero 1 PWF Championship Wrestling from Florida spokes model and Valet to her Daddy, Uncle Jed. You can see her each and every month at PWF CWFL shows in Orlando, Florida. Suzy is a native of the hills of Tennessee and has been around the Pro Wrestling business for nearly twenty five years. She is also the lovely wife of PWF Ring Announcer and Commentator, Rockin Robin who is a professional musician and DJ. They are undoubtably PWF CWFL’s best looking couple and a great asset to the shows. Be sure to stop by the music table at the shows to say hello and meet them in person. They enjoy meeting and talking with the fans every chance they get. Pro Wrestling Fit Colombia’s very own Koralyne. 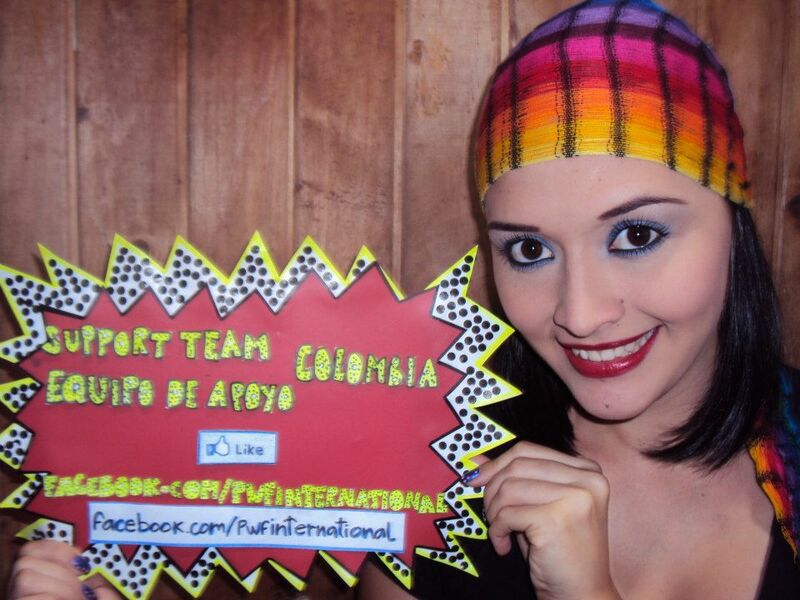 Koralyne is a beautiful girl from our Team Colombia group in the city of Cali, Colombia. Be sure to share her pic and vote for her on our facebook page. If you would like to have a chance to appear on our page enter your photo on our facebook page for a chance to win. New lovely models are chosen every week! Don’t wait. Enter your photo today! Pro Wrestling Fit Europe Spokes Model Monika invites you to Like and Share our fanpage! This week’s beautiful model is Zero 1 PWF Europe Spokes Model Monika from Poland. She would love to hear from you in the comments section of our facebook page albums and invites you to Like and Share her photos with your friends. She hopes that you will vote for her to appear on the PWF International Calendar to see even more of this lovely European girl. Monika is a true Zero 1 Pro Wrestling fan who has been watch shows since she was 4 years old with her family. Her favorite Pro Wrestler is Cherry Layne and hopes to get a chance to meet her in person some day. When she isn’t busy modeling Monika enjoys swimming, ice skating and dancing and hopes to meet you in person at PWF Europe shows in the near future. Meet Miss Amber Lee our beautiful Spokes Model for PWF Korea. Zero 1 Pro Wrestling in Korea is alive and well thanks to our PWF Korea Spokes Model and Marketing Manager the lovely and talented Amber Lee. Amber has been working for PWF International since 2009 in her home town of Shi-Hung-shi, Korea and currently makes her home in Las Vegas, NV. Amber is not only beautiful but as a Black Belt in Taekwondo and Hapkido she is also dangerous. You can check out more of her pics on our facebook page. Her hobbies are shopping and dancing. Her favorite wrestler in none other than PWF Chairman Rick Love and has been watching him on TV in Korea since she was just eight years old. She is waiting to read your photo comments on facebook and hopes to be one of our models for the PWF Calendar. Djei Djei the original Diva Champion in training. This month’s hottie is none other than our Diva Champion in training, Djei Djei, the beautiful Boxer from Bulgaria who is currently training under a developmental talent agreement with PWF. This lovely lady is a female boxing champion in her native country and has be recruited to PWF International by our C.E.O. Rick Love. She is currently in full time training at the Pro Wrestling School in Orlando, Florida. Be sure to Like and share her fanpage The Diva Champion on facebook. No previous modeling experience is necessary. If you have model quality looks and the right attitude we can train you for these shows. The first ten models accepted will appear in our next newspaper ad and will receive a free portfolio photo shoot with our set photographer at our television studio. Contact us today. Send us a head-shot photo and in 50 words or less explain why you would make a good spokes model for our show. The International Bikini Model Search Contest is one of the largest and fastest growing international online voting contests and event production companies known worldwide. Models from all over the world compete for the experience and opportunity of traveling to and shooting in the most beautiful and exotic locations while working with some of the most prestigious and professional photographers, artists, bikini fashion designers, agencies, representatives, scouts and event producers in the industry. E-mail your photo and info to prowrestlingfitmedia@gmail.com .